The setting is Wilton's Music Hall in summer 2011. This ornate mid-Victorian structure has the strangest of settings -- it nestles among bland social housing, giant Tarmac highways and the concrete light-railway infrastructure that dominates the landscape to the east of London's Tower Bridge. But the contrast between its brutal 20th-century surroundings and the hall's faded elegance have made it all the more compelling as a favourite site for all manner of haunting musical and theatrical events since it was discovered, in a state of near collapse, in 2004. Over subsequent years, as funds have been raised for its refurbishment, many memorable performances have been conducted in its semi-derelict hall, surrounded by crumbling plaster, exposed beams and collapsed brickwork. Its genteel decrepitude makes the Wilton's live-music experience all the more seductive, and never more so than this evening's performance, from charismatic Russian violinist Alina Ibragimova. Her programme included a Bartok sonata accompanied by a spectral, site-specific animation from film makers and set designers the Quay Brothers. Live music is making a comeback in the 21st century, and it's partly thanks to the compelling physicality of buildings such as Wilton's. This is no small cause for celebration in the age of Spotify, YouTube, iTunes and SoundCloud, when music lovers can experience almost all the world's music, from pretty much any of the world's musicians, at the mere swipe of a thumb. If anything, the slick ubiquity of screen-based music entertainment has driven this renewed interest in the live experience, with audiences seeking a more vivid, visceral connection between sound and space and the unique buzz of shared enjoyment with other people. Why else would Europe's music-festival scene have exploded as it has in the past decade? For those not keen on camping, permanent and weatherproof spaces dedicated to live music have received more attention and investment in the past few years than probably in the previous 20. Take Paris, for example, a city not short of cultural establishments, which will see the opening of not just one but three new world-class concert halls in the space of two years: last year it celebrated the opening of both the Architecture Studio-designed 1,461-seater Maison de la Radio and Jean Nouvel's controversial, 2,400-seater, £300m Philharmonie de Paris (which the architect is attempting to disown). In 2017 these will be joined by the Shigeru Ban-designed Cite Musicale de l'Ile Seguin, as part of a regeneration scheme for the Paris suburb of Boulogne-Billancourt. 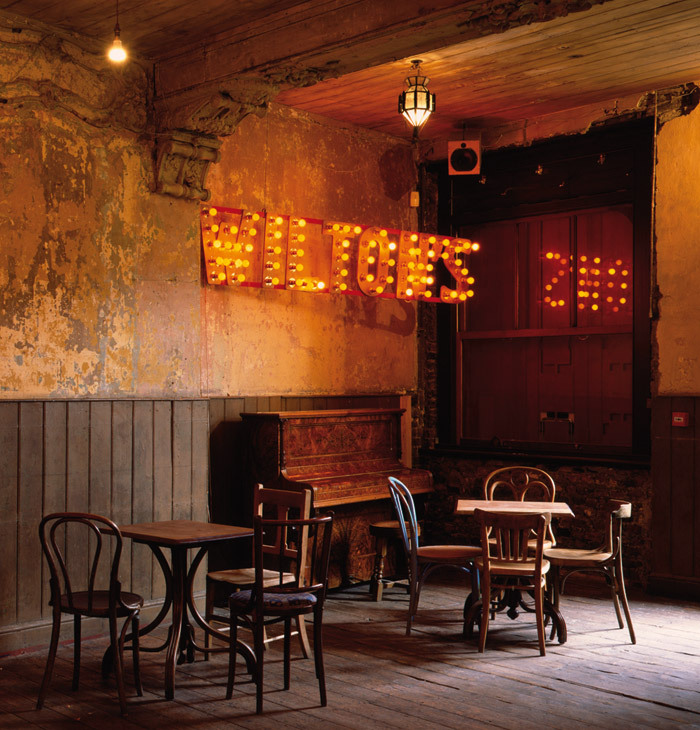 Wilton's itself, which mixes theatre and music in its programme, is coming to the end of an arduously campaigned for and carefully orchestrated restoration that has made safe and sound the performance space and opened up previously unsafe parts of the building to the public, without losing that rich patina of pre-loved texture and integrity. The aforementioned physicality is writ large in these new venues. Sometimes, it is through the curation of a unique interior presence, as with Wilton's. More often it is through a strong visual presence in the landscape, such as the glassy white crenellations of the Szczecin Philharmonic Hall in Poland, by Barozzi Veiga, which in 2015 won the Mies van der Rohe award for architecture and was shortlisted for the Design Museum's Designs of the Year. This translucent building glows -- literally -- like a beacon at the heart of the city, advertising and elevating the programme of live performance within its walls. But, sometimes, the physicality is expressed through the placement of the audience at the heart of an outstanding acoustic experience. And the reason why Paris has launched such a spate of live music venues in so short a time? Joly says it's because Paris lacked the scale and quality of live-music venues enjoyed by other major cultural centres, such as London and Berlin. But he remains confident that there will be audiences for all three. He says: 'It seems that as we have new places where you can hear great music, now the audience is increasing' -- could this be a rare case of supply leading demand? As a grand civic gesture for a city on Paris's scale, Maison de la Radio required a big budget. 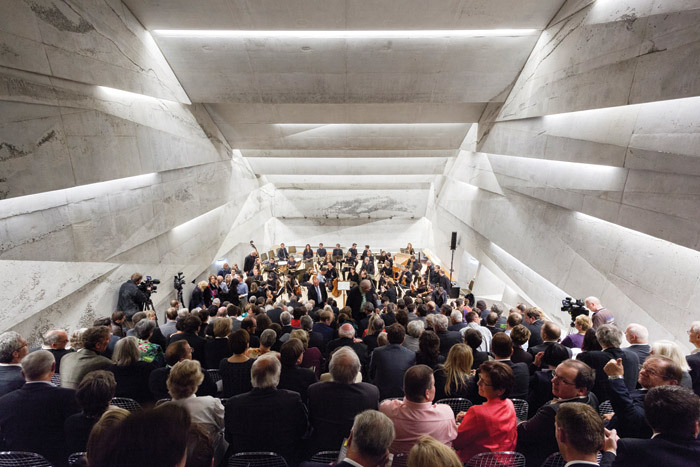 But even modest sums can be deployed to create iconic new concert spaces, such as Munich-based architect Peter Hailmerl's 200-seater, 500 sq m Konzerthaus in Blaibach. Heilmerl is creating three new cultural buildings for Blaibach, the town nestling in the heart of quintessential Bavarian woodlands. Despite the picturesque location, the town population is dwindling as young people migrate to the nearest cities. So, the regional government is putting culture at the centre of its campaign to keep people of all ages in this town. The strategy appears to be working, with sell-out concerts reported for its new concert hall's first season. High-quality, live-music venues can clearly unite communities of all sizes, as Tim Ronalds Architects -- also a consultant on the Wilton's refurb -- recently proved with major new venues: one for Woking schools in collaboration with Hertfordshire Music Services, and one for Kent University. 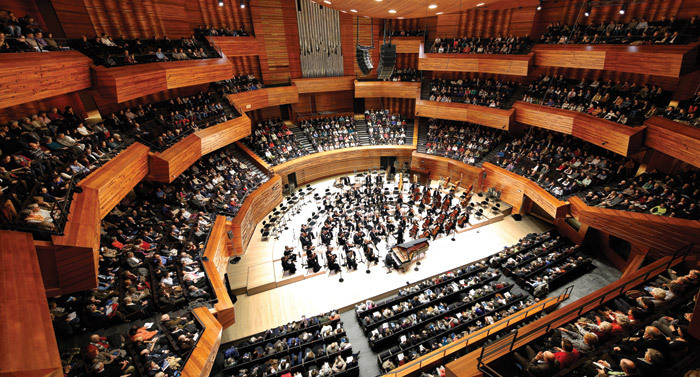 This university has long boasted a dynamic extracurricular music programme but, at the time Tim Ronalds Architects won the design competition for the new venue, it had no space fit for the quality and scale of its concerts -- some of which require a full orchestra plus a 200-strong choir and seating for 350. What it now has in the Colyer-Fergusson Hall is a truly state-of-the-art performance space within an iconic -- and now multiple award-winning -- building. Sited at one of the main entrances to the university, TRA chose to echo the best of the Sixties' buildings on campus with a handsome, modernist design clad in flint-faced blockwork. Both the concert hall and the foyer are designed to offer the best possible acoustics across a whole range of styles and scales of music. TRA worked with Arup Acoustics to deliver optimum performance quality. Is acoustic technology any different these days from 20 years ago? Clearly, when it comes to unusual spaces, such as Maison de la Radio's, the availability of computerised modelling makes taking risks with new designs more feasible. With more conventional spaces, it's very much a combination of the old with the new, according to TRA's lead architect on the Colyer-Fergusson hall, Kate Biro. Says Biro: 'We've worked with Arup and others on many buildings now. We like to [avoid adding] a lot of bolted-on stuff to modulate the acoustics. Having state-of-the-art acoustics brings its own challenges, however, as the regular performers found when they moved into the new Colyer-Fergusson Hall. 'Before they were in this space they were in a Sixties' dining hall, which had the acoustics of a cave. Initially, everyone was very cautious because they could hear themselves sing and play really clearly. Clearly they got it right: the ultimate compliment for the concert hall is that it is now being booked by world-class orchestras for rehearsals and recordings. The building's welcoming aspect and the opportunities created for impromptu and informal performances around its foyer means that it acts not only as a vital hub for the music faculty and visiting musicians, but as a beacon for the wider community, on campus and beyond. 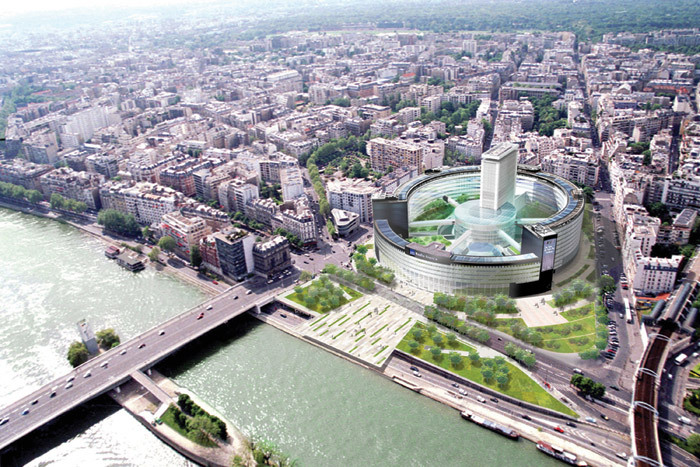 The Maison de la Radio is an iconic Paris building, along the banks of the Seine, established in 1963. At its 40th anniversary a decision was taken to restructure and upgrade the building, adding a public concert hall that could seat nearly 1,500 people, in order to open up its programming to a broader audience. Through the removal of two older recording studios, Architecture Studio's competition-winning scheme managed to insert a 1,461-seat symphony hall into the redesigned river-facing section of the existing building, surrounded by refurbished, state-of-the-art recording studios and offices. A truly immersive experience has been created for the audience, thanks to the arrangement of seating in small blocks around the stage together with an outstanding acoustic, designed in conjunction with Japanese acoustic specialist Nagata. Says AS principal Gaspard Joly: 'We first made the architectural design and worked with Nagata through acoustic modelling to verify that the design was good enough for the acoustics we wanted.' Together with Nagata, the team tested (with 1:10 scale models) the weights, angles, thicknesses and material qualities for balconies, seating racks, stage and distances. 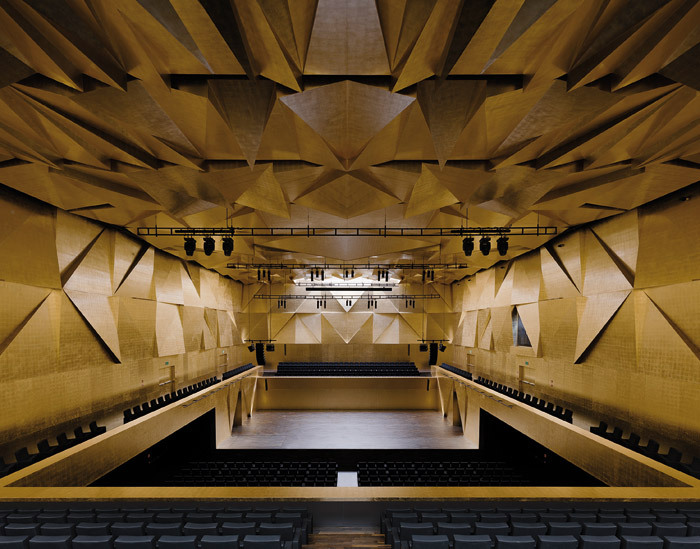 The resulting auditorium is filled with finely calibrated, angled acoustic panels in a rich assortment of beech, birch and cherry, the patterning of which evokes a large marquetry relief with a strong horizontal rhythm. In addition, an oval timber 'canopy' acoustic reflector is suspended over the stage to deflect sound back to musicians and audiences, backed by a sequence of further timber planes that overlap and flow upwards to reinforce the sense of intimacy and immersion. The 22m x 15m stage itself is composed of 18 modular lift tables, able to accommodate 120 musicians and a wide variety of orchestral configurations. AS's scheme, of necessity, opens up the Maison de la Radio complex to large numbers of the visiting public, so along with the new auditorium there is a welcoming entrance area that can usher audiences through the front doors and along a new public 'street' that leads to the new grand auditorium as well as a retained smaller recording studio, plus connects them to a cafeteria and exhibition space. All this is without impinging on the life and work (and security) of all the producers, editors and musicians who populate Radio France, the French state broadcaster's HQ. Surrounding car parking that acted as a barrier to the public has been sent underground, allowing this area to be landscaped and turned into a welcoming park that leads directly on to the river Seine.